Susan's Disney Family: Kmart's Family and Friends sale this Sunday! Kmart's Family and Friends sale this Sunday! 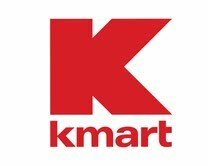 My family and I have been big fans of Kmart for many years now, it has always been a place where were can get a great selection and a great price. This was a store I would visit as a child with my mother. I remember the blue light specials, when they actually had a cart with a blue light that would travel from isle to isle and you could track it down for even more savings. Now I enjoy shopping at Kmart with my own daughter. Kmart is having their Family and Friends sale this Sunday, November 4! With this great sale you can get 10% off of all regular and sale priced merchandise. What a great way to stock up for the holidays! Shop now to avoid the holiday rush, I know I do not like to shop when the stores are packed and filled with last minute shoppers. I want to make sure I get the best selection, to make sure the special people on my holiday list get exactly what they are looking for this year. My daughter is asking for a Barbie Dreamhouse this year.. who knows maybe "Santa" will pick her up one this weekend? Santa can't resist a great bargain, and to save 10% on top of the great prices Kmart has that is a great thing! Are you planning to shop this weekend, make sure to visit your local Kmart for some great deals this Sunday. Disclosure: The reviews and or opinions on this blog are my own opinions . 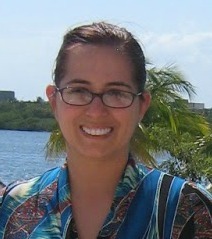 This is a sponsored post is sponsored through a Mom Bloggers Club member program. I was not required to write a positive review. Your experience may differ. The opinions I have expressed are my own I am disclosing this in accordance with the Federal Trade Commissions 16 CFR Part 255: Guides Concerning the Use of Endorsement and Testimonials in Advertising .